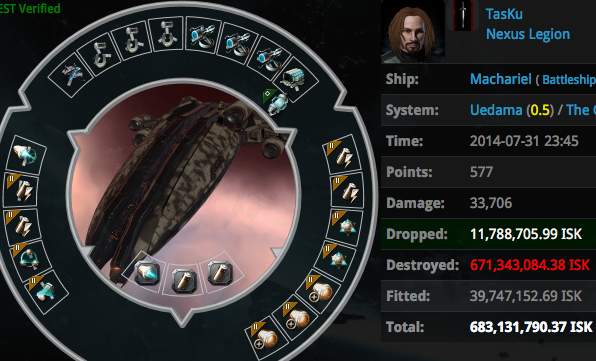 What is better than a regular Machariel wreck? You guessed it! A bumper-Machariel wreck. 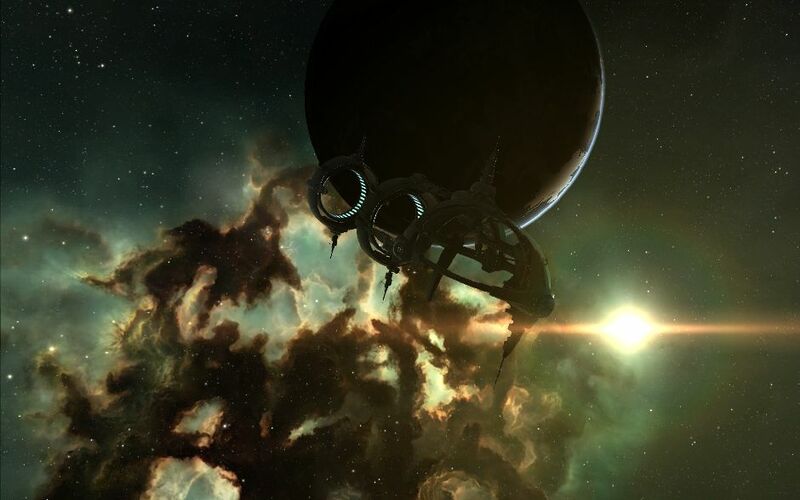 Machariel Maintenance is a developing activity in Highsec, but it's not a very recent type of content. Those freighter bumpers were already being destroyed months and years ago. According to many publications, this type of emergent gameplay has its origins in late 2012 or early 2013. It became glorious in 2014, say July 2014 for example. 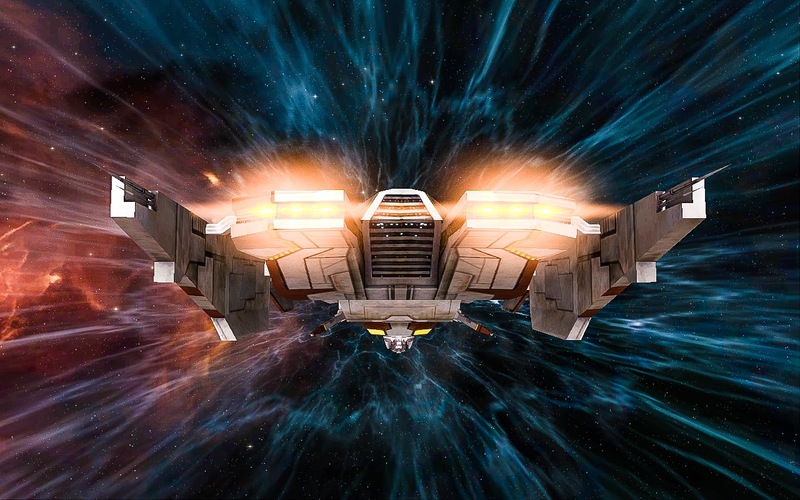 Some carebears and lazy AFK freighter "pilots" complained so much about the mechanics of bumping and ganking that CCP devs had to make official or personal forum statements about it. However, genuine Anti-Gankers know how to deal with a bumper's bot-aspirant behavior. They know that vigilance, action, conflict and usage of valid game mechanics against bumpers work much better than whining on forums about how unfair bumping is or why suicide ganking should be abolished. In other words, they understand Highsec. They understand EVE. His bumper Machariel vaporized within seconds as a result of a punishment by Content Generators Jennifer en Marland and Lilynndria Satele. It's understandable that once the killmail appeared on zKillboard, people reacted at TasKu's strange looking, bumping-optimised Machariel fit. Such Machariels always look strange. TasKu had decided to fit zero tank modules and focus on extreme agility to enhance his bot-aspirant bumping operations. Maybe an exclusive bumping permit could save him, who knows? Another meaningful comment for this glorious killmail came from resistencia. You know what? He's right. This might be quite off-topic in this Machariel-focused post, but in my personal vision of Anti-Ganking, there is no such thing as failing completely. For example, if you successfully jam the fail-fit Catalysts and prevent a gank, you win. In the contrary, if you see them switch to triple ECCM Taloses, it also shows your success about how you forced them to adapt and innovate. 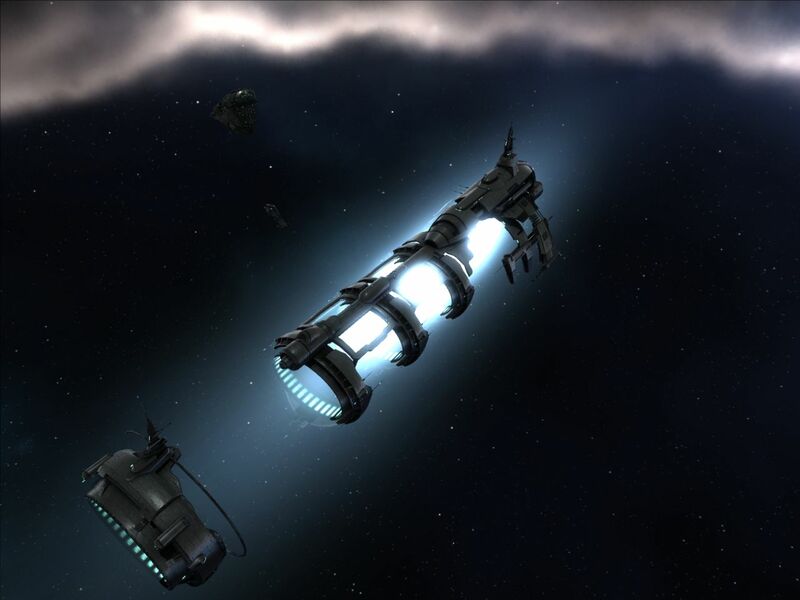 Similarly, ganking these freighter bumper Machariels is a victorious wrath of resistance from Anti-Gankers. If we force them to paying more attention while bumping, it once again proves that we are successfully reforming them and creating better, alert and civilized EVE players. In a competitive game like EVE, these are very good things. In addition to that, genuine Anti-Gankers have fun while engaging the gankers. You probably know that excellent saying about having fun in EVE: "if you're having fun, you're winning EVE." Enough philosophy, let's move onto another punished bot-aspirant. Well maybe we can call them "saved" instead of "punished". By ganking these robot-like bumpers, we destroy their bot-aspirancy. Therefore, we're actually saving them from themselves. Boom! Another vaporized bumper. Funnily-named Kamaz Tipper was even more greedy than TasKu. Look at all those salvagers and delicious modules! …and now look at that last, poor, unfortunate, remaining empty high slot. That, my friends, is a slot which Kamaz could have used for a bumping permit or vigilance. Just like TasKu, he had no tank at all. Even Faction cloaking devices and Deadspace microwarpdrives will not save you if you don't pay attention. It does look like things are working as intended, doesn't it? 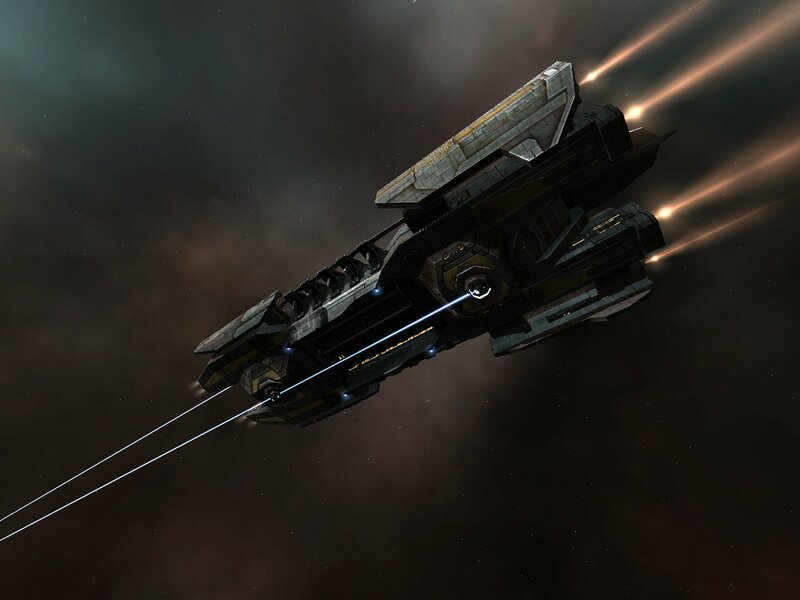 This is Highsec. This is EVE. 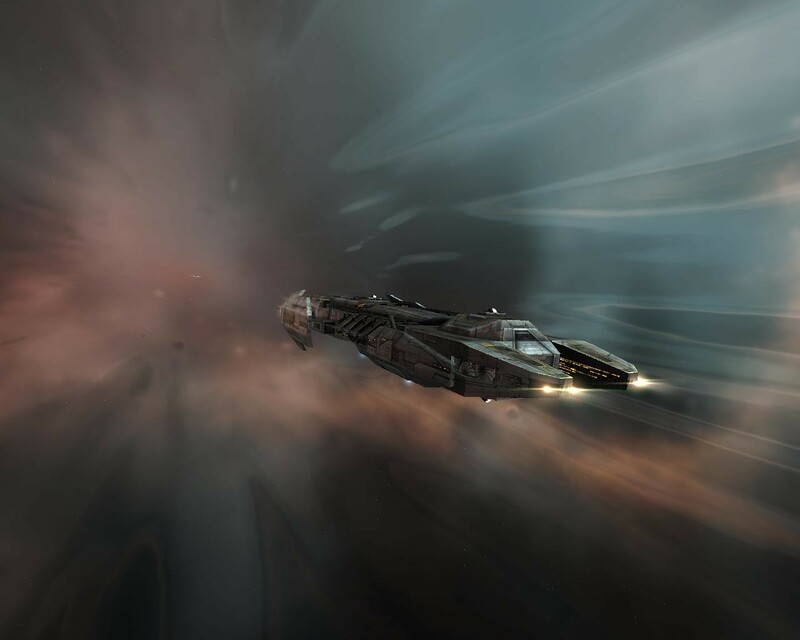 Today's post takes us to Caldari space. During another patrol day, our Falcon detected some robot-like ganking behaviour in a system known as Uemisaisen. CONCORD presence in a belt and outlaw criminals blinking in Local were confirming it. Before their criminal timers ended, I had to find other possible gank targets in system and guess which one was going to be targeted by the gankers next. Finally, D-Scan showed a Retriever in the far reaches of the system. At the same time, the gankers' criminal timer ended and D-Scan was now showing many combat probes appearing around that Retriever. Obviously, they were using the probing technique for their ganks, and most probably, they were about to find this Retriever. Our Falcon was already in position at the belt. The combat probes disappeared. What followed (as expected) was the appearence of two Catalysts on D-Scan. 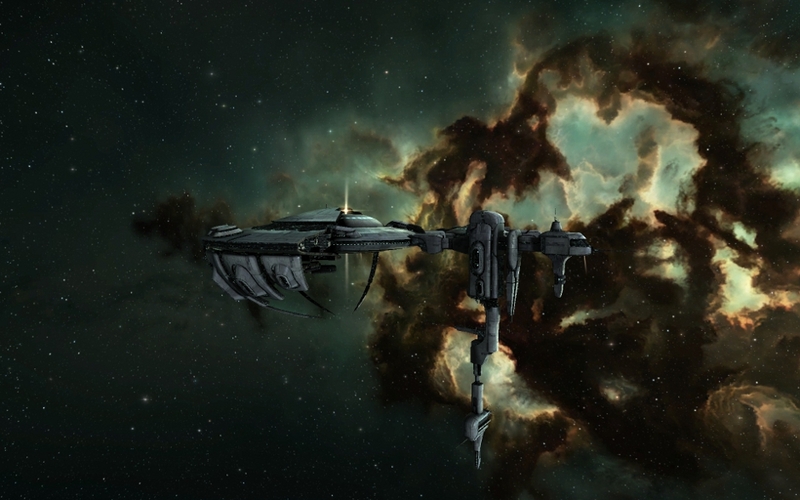 Ganker ship names is a complicated yet interesting subject in the field of EVE sociology. 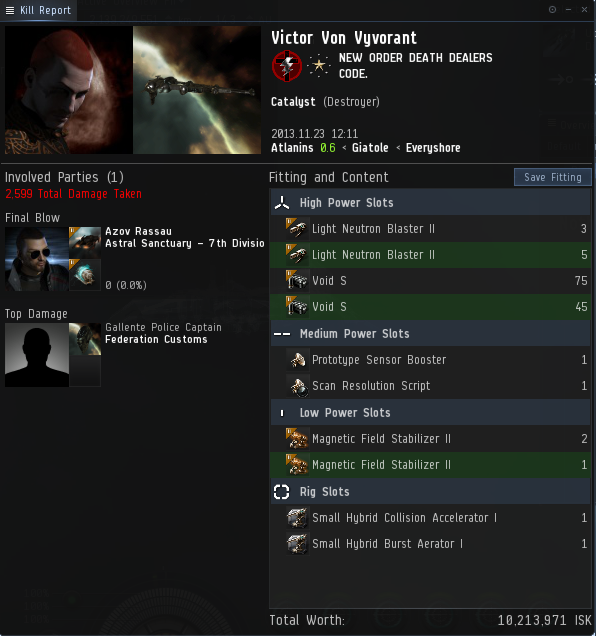 During the Caldari Ice Interdiction 2013, some CFC gankers used to yell "ALLAHU AKBAR!" in Local while warping to their targets with their Catalysts named "الجهاد سربسرب "
While the Catalysts were in warp towards our belt, I decided not to decloak my Falcon… Why would I? The miner was aligning. Unlike an AFK carebear, this miner was doing Anti-Ganking by simply remaining at keyboard and checking D-Scan. About 7 seconds later, the Retriever was already warping away. Glorious. Meanwhile, the bot-aspirant Catalysts were still foolishly expecting to land on that Retriever. But they were now warping to an empty asteroid belt. As they landed to the empty belt, our Falcon, far away, was silently watching and chuckling at them. Things weren't going as they had planned. There was no Retriever! After staying there for 5 more minutes, I was convinced that the Retriever was either out of system or it was still docked. 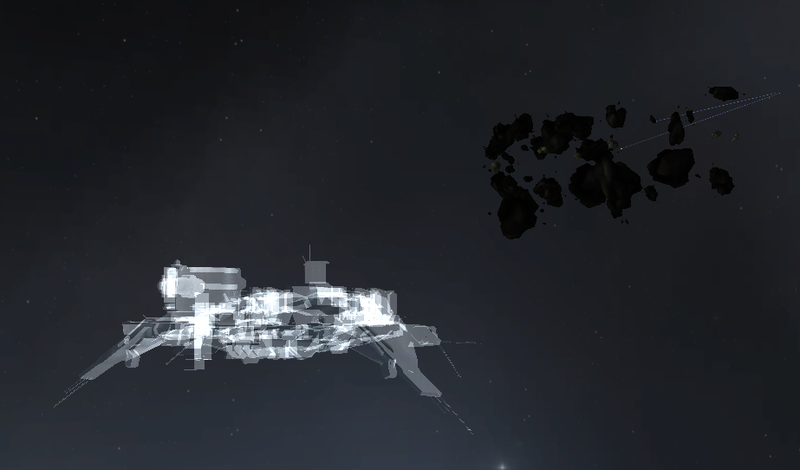 The frustrated gankers were also docked, and their scout ran another series of probing to find another target. There was another Retriever at the other end of the system, and judging from my scan results, he was the only Retriever in that area, at that moment. Therefore, I definitely expected to see both Catalysts land on this one. See, Anti-Ganking is also about predicting and guessing ganker decisions. …followed by their landing on our belt. Well, as you can guess, it looked like they were about to fail again! Our Falcon started to cure the disease immediately. Two successful jamming cycles were quickly applied on both Catalysts. As the strong waves of ionized particles traveled from my pair of jammers to the two bot-aspirant Catalysts, the beautiful scenery painted the liquid space between my Falcon and the entire asteroid belt. It was the light of Anti-Ganking. 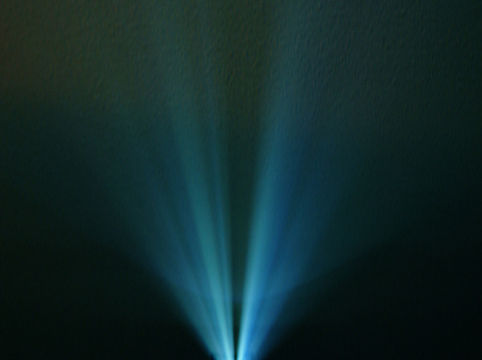 The light of guidance brought to the darkened minds that lacked ECCM, civilization and innovation. Having seen my Falcon and their inability to lock anything, the Catalysts warped away. Did I tell you how much I love ganker tears? Yeah I think I did. 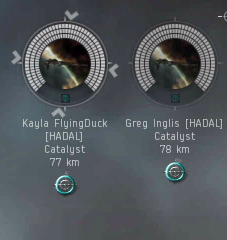 Upon aborting the gank, one of the Catalyst pilots Greg Inglis obeyed to the ganker bingo. He found my intervention "interesting". Anti-Ganking is certainly interesting, but it's not about saving miner's life only. It's also about saving the gankers from themselves and contributing to Highsec content. 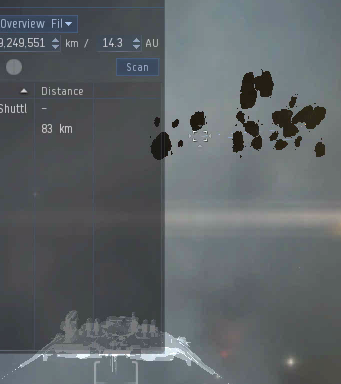 Thanks to our Falcon, Greg Inglis (although frustrated) probably had the most interesting moment of his entire ganking routine in EVE. Whenever I engage a ganker with or without success, I like to salute them with a 'gf' or 'o7', just like a Lowsec dweller would do after having a cool fight. They're my in-game opponents. Some gankers respond in the same way, and that's a healthy EVE situation: mutual respect between gankers and anti-gankers. Some gankers, however, spout insane non-sense. He thought that he needed to be killed in order to learn and innovate. The art of Ganker Jamming™ constitutes the apogee of my lesson-teaching Anti-Ganking activities. Greg had just learned a valuable lesson from our Falcon which forced him to canceling the gank. Like I always say, it's hard to understand a ganker's state of mind. Normal people would usually learn from their mistakes. Was it so hard for Greg to respond gallantly and concentrate on actually useful things like fitting ECCM and purchasing a permit? If I had a penny for every time a ganker accused me of being a "hater", I could retire. 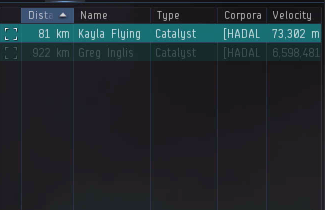 The empty words and tears of Greg were followed by Kayla FlyingDuck -being the other Catalyst pilot- who apparently didn't understand the true philosophy of Anti-Ganking. After our Falcon's educative service, Kayla quickly accused me of being a "Code hater". Apparently, using valid game mechanics equals "hating" in her book. We real Anti-Gankers don't hate anybody. We play the game and have fun shooting you. Maybe Kayla thought for a moment that I was one of those numerous hateful AFK carebears who send RL death threats and do nothing in-game. We're not them, they're not "anti-gankers". Another gank was stopped, another pair of bot-aspirant gankers were educated. It was a glorious day of Anti-Ganking in Uemisaisen. 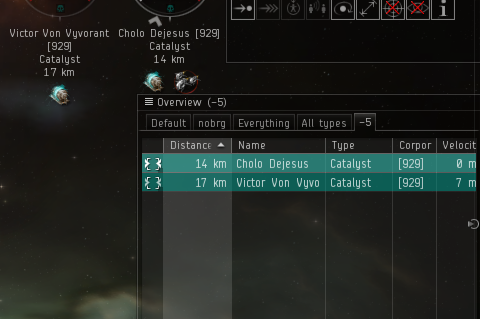 The Catalysts were returning to station like terrified rabbits, the saved miner was enjoying the Pyroxeres and local was filled with ganker tears. Meanwhile, only one thought was in my mind: I love jamming Catalysts. 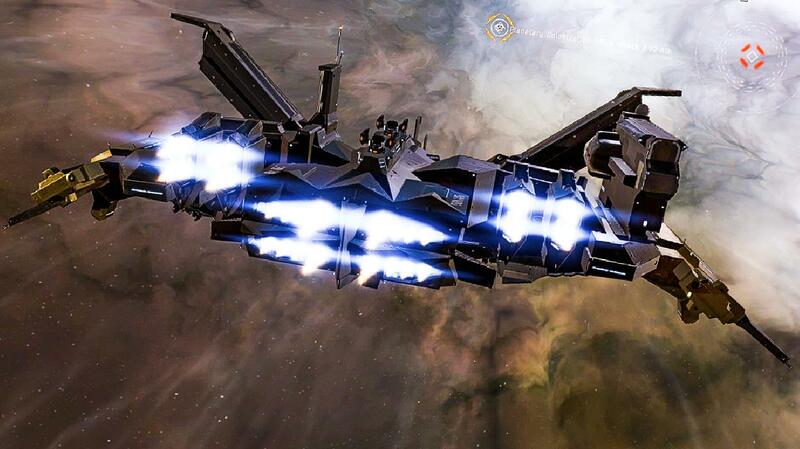 This week, our Skiff of Doom tells us another story from my Gallente space memories of late 2013. In fact, our Skiff can be considered as "Justice" or "Doom", depending on who you are, and how you look at it. If you're on the ganker side, the odds are not really in your favor, and "Doom" might be a more accurate description. It is every genuine Anti-Ganker's job and responsability to do researches about known/unknown ganker dens, locations and activities. We're not to be confused with the lazy, ineffective and real-life threatening carebears. One of these researches made me detect a bot-aspirant concentration of outlaw Catalysts with no ganking permits in a system known as Leremblompes. When it comes to curing the ganker ignorance and robotism, even the most distant systems can be reached for our goal of ganker education. About 20 jumps were made by our Skiff and Atlanins was reached. Upon arrival, potential ganker routes were analyzed and an appropriate gate was chosen for our gatecamp of permit inspection: the Leremblompes gate in Atlanins. 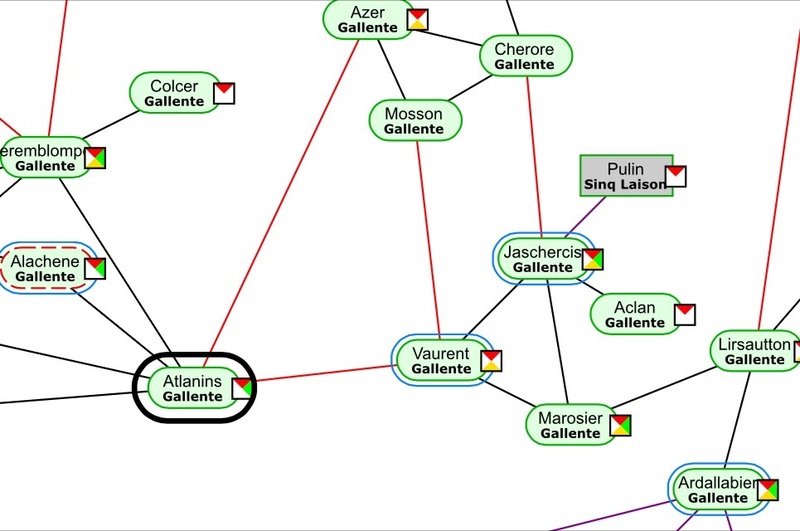 The tactic was simple yet effective; if the Leremblompes-based gankers want to gank in Atlanins, Azer, Vaurent, Marosier, Ardallabier, Jaschercis etc., they will have to pass through the gate I camp. 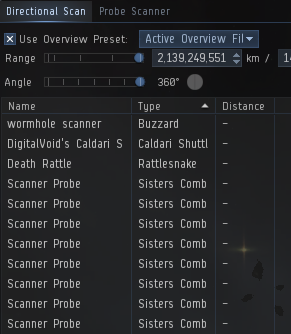 In EVE, patience is important. In Anti-Ganking, patience can determine the difference between failure and success. In fact, for counter-ganking, you need so much patience that some people will hardly believe when you describe this particular gameplay type. However, high level of courage, patience, motivation and dedication are important. That's how Anti-Ganking works and leads to fun. 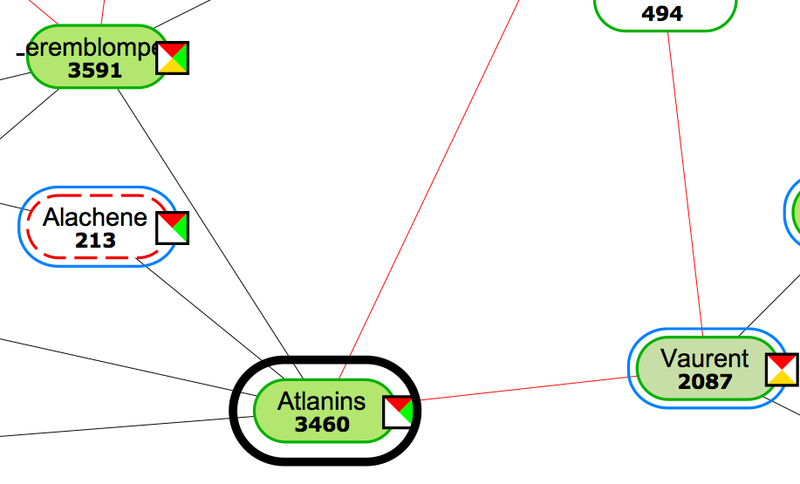 While waiting for the outlaw Catalysts at gate, I was also checking D-Scan regularly to have some eye inside my system (Atlanins) as well. 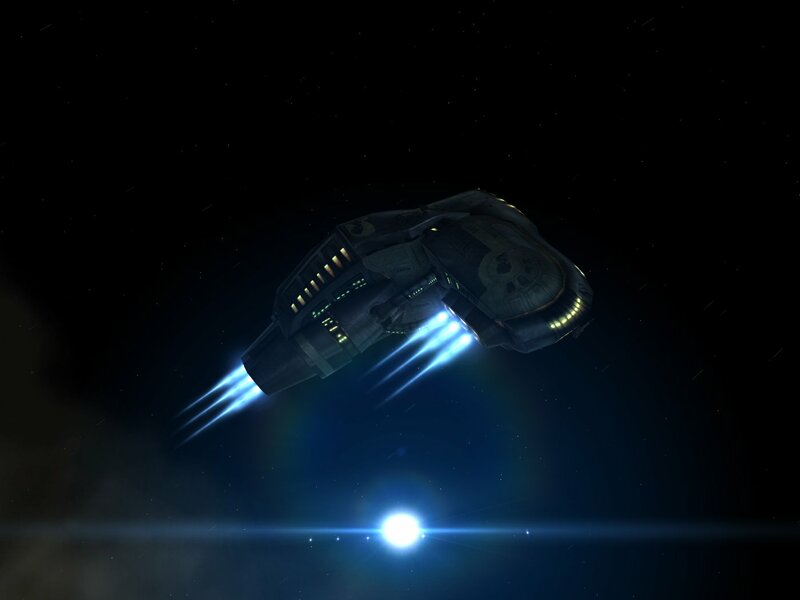 [ 2013.11.23 12:10:31 ] (notify) Criminals are not welcome into Gallente space - leave now Victor Von Vyvorant, or your vessel will be destroyed! 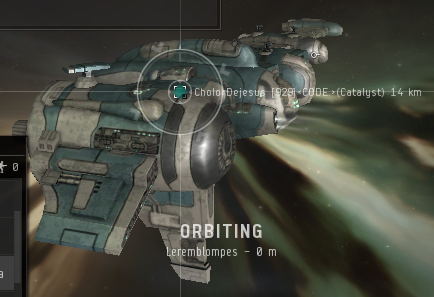 [ 2013.11.23 12:10:34 ] (notify) Criminals are not welcome into Gallente space - leave now Cholo Dejesus, or your vessel will be destroyed! I love these notifications. 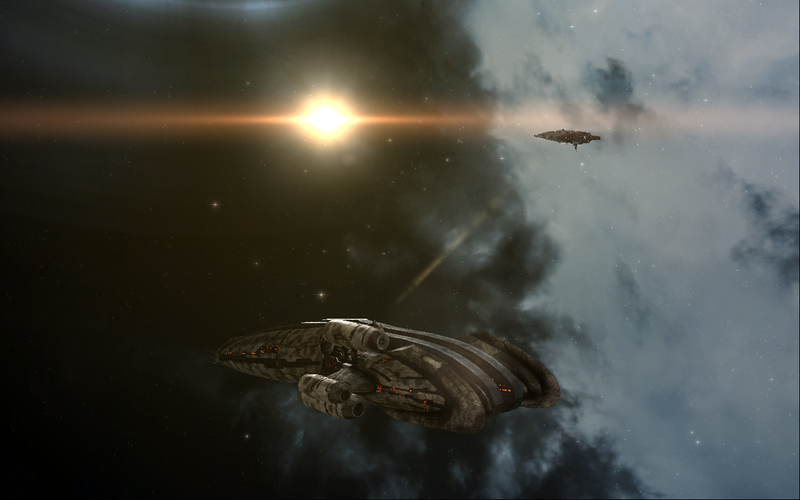 You can't imagine Highsec without them. They're like elevator music. 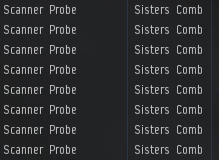 If Highsec is the elevator, these notifications would be the music. 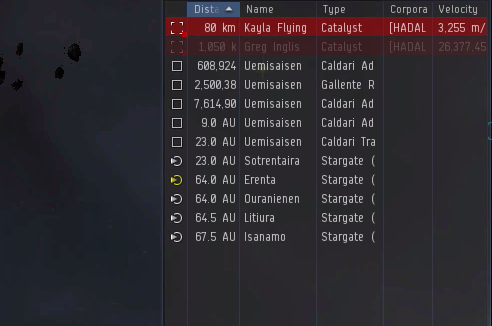 This time, the notifications were announcing the entrance of two outlaws (below -5) who were apparently thinking that they could freely navigate in Highsec without any problems. However, our Skiff of Justice was ready from the moment it started camping the gate like an hour ago. There's no exception when it comes to punishing the outlaw non-permit holder Catalysts. The moment they decloaked to warp to the next gate (or to their target), gank-bots Cholo Dejesus and Victor Von Vyvorant were almost instantly pointed thanks to the vigilant use of two separate warp disruption modules on them one by one. Destroyers align fast, but not too fast. 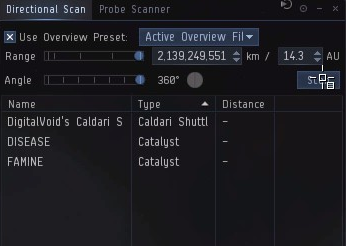 With a combination of specific overview settings and good scan resolution, it is possible to spread points on multiple Catalysts before they enter warp. After all, these guys are -10. Anyone can engage them. Doomed, they remained still and silent. Our Skiff's patience was rewarded and the ganker bot-aspirancy was cured. The outlaw gankers were caught and tackled on their way to their target. 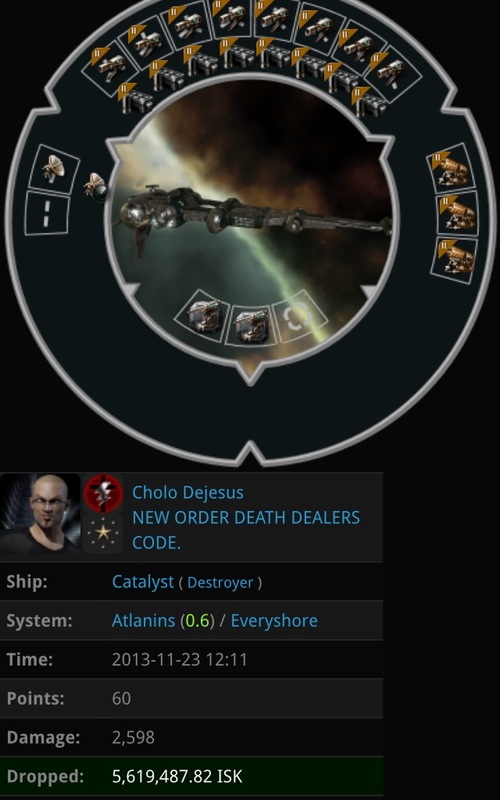 Meanwhile, to celebrate this moment of Justice, I generously sent Hornet EC-300 ECM drones on funnily-named Cholo Dejesus. His Catalyst's name was 'Ready'. Nevertheless, they obviously weren't "Ready" to navigate in Highsec within my sight. They will be "Ready" when they purchase their ganking permits, scout their route and pledge loyalty to the art of ganker jamming by fitting ECCM. Of course, they didn't even have that module either, therefore the permit would be revoked. 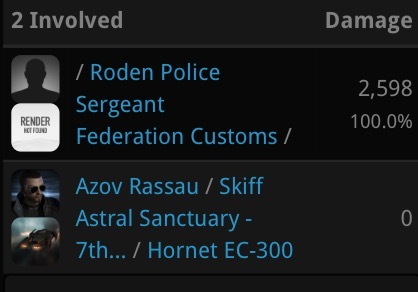 As usual, Content Generators Gallente Police Captain and Roden Police Sergeant (faction police) were late to the party. Although they have cool names, these NPC faction police are so late, ineffective and stupid that I am not even sure why they exist. With our Skiff's monumental DPS and tank, I could just switch to my Hobgoblins and kill both Catalysts anyway. Interaction between real players makes a lot more sense. The gankers were stopped even before reaching their target. Another gank was prevented, another pair of bot-aspirant Catalysts were punished. No end to Universe, no end to ganker bot-aspirancy. If you don't like them, shoot them.